This EPK includes photos to download, a live video filmed at Vermont Public Radio, short and long bios, press quotes, and quick facts about the band. Tagline: A small band with a curiously large sound. 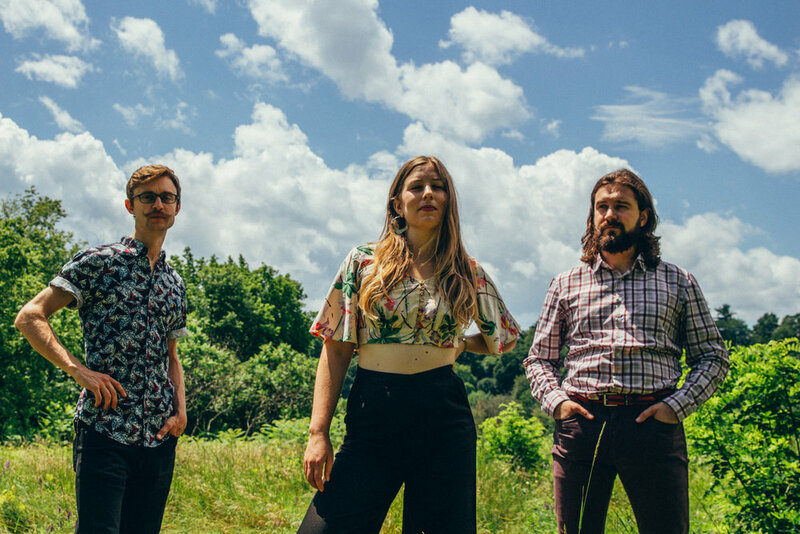 A small band with a curiously large sound, three friends combined their nuanced styles to create this all original folk-funk trio; known throughout New England and the Midwest for powerful vocals, raw energy, anchored by a tight rhythm section. Together, the band “leverages Emma’s incomparably smooth vocals to create something that sounds close to magic” [The Deli Magazine]. Captivating audiences with their powerful take on classic cover tunes and delivering their original music with inspired flare, every show is a unique experience you’ll leave feeling lightened. 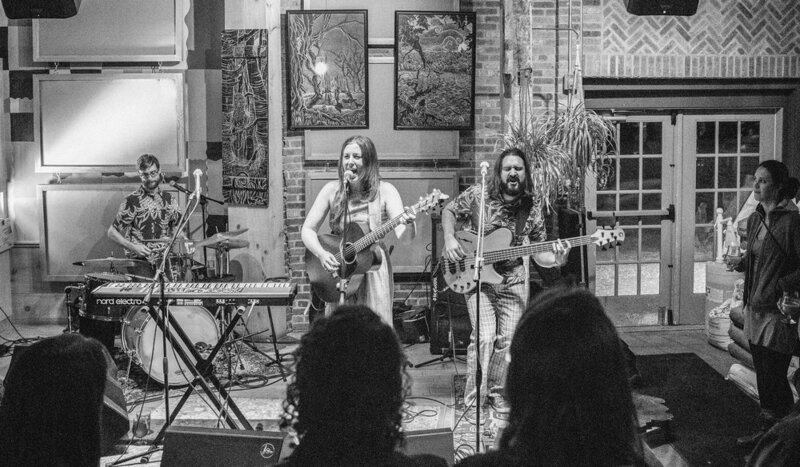 A small band with a curiously large sound, Emma Cook & Questionable Company are known throughout New England and the Midwest for powerful vocals, raw energy, and tight grooves. Formed in the thriving Burlington, VT music scene these friends combined their nuanced styles to create an all original folk-funk trio. Together, the band “leverages Emma’s incomparably smooth vocals to create something that sounds close to magic” [The Deli Magazine]. Their sound is “surprising and pleasing… [incorporating] standard folk lyrical themes with touches of jazz and undulating funk grooves, with a sound that is soulful and distinct” [Seven Days VT]. Lead vocalist Emma Cook has been described as “a formidable songwriter and instrumentalist”, and as the songwriter of the group she has been compared to Brandi Carlile, Sara Bareilles, and Norah Jones [Seven Days VT]. Captivating audiences with their powerful take on classic cover tunes and delivering their original music with inspired flare, every show is a unique experience you’ll leave feeling lightened. "Cook's vocals largely define Questionable Company's lifting, expressive sound. Feltus' drumming is tender, while Guyton's melodic bass lines keep things wistful. Cook's vocals...hushed and deep, and Guyton's moody bass reverberates throughout...gorgeously dark." "The three have more up their sleeves than just noodling around. [Their debut album] is both surprising and pleasing...with a sound that is soulful and distinct — but familiar enough to satisfy the Burlington funk crowd — this trio's got a good thing going. " "Take It Home is a fun, breezy album for people who like uncomplicated pop rock. Cook is a formidable songwriter and instrumentalist and will likely continue to impress on future efforts." "Helmed by vocalist and songwriter Emma Cook, Questionable Company melds folk and funk together into a sound bigger than you’d expect from a three piece. " Stay up to date on all the Questionable happenings. We promise not to spam you.